I am not a person who spends too much on beauty products. I love a good deal like any girl my age, but sometimes I can't help but indulge in expensive and luxury skincare products. Today I am partnering with one of the best and most luxurious beauty brands out there - La Prairie. I am sure lots of your have heard of the world-renowned Swiss company of timeless beauty. Its innovative skincare, color and fragrance collections are widely regarded for setting the benchmark within the luxury cosmetic industry. 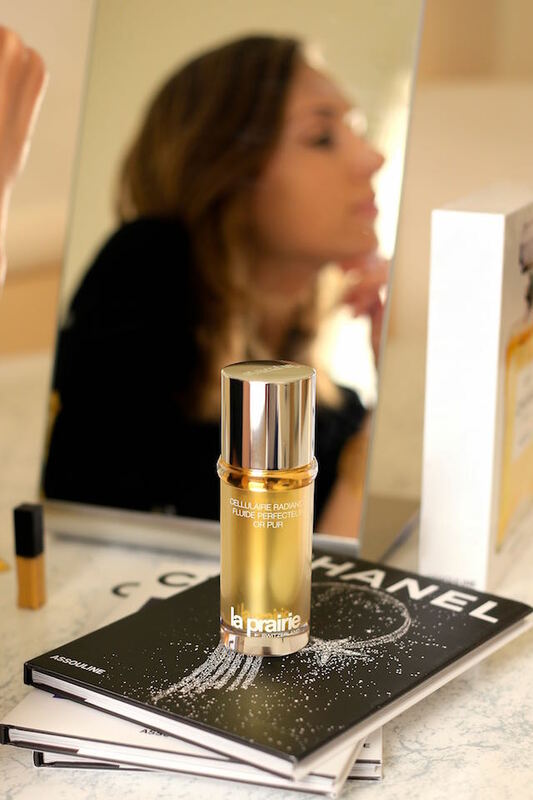 We'll be talking about their La Prairie Cellular Radiance Perfecting Fluide Pure Gold, which showcases a new milestone in skin revitalization. The product is inspired by my favorite time of the day - the golden hour. There is a magic time when a fleeting light casts a spell on everything it touches. It happens the moment the sun begins to rise, and again just before it sets. Shadows lengthen, colors are enhanced, the earth is in soft focus. Warm light bathes the skin in breathtaking beauty. It is an elusive moment, revered by artists, that stirs something deep inside us, and feels unlike anything else in the world. Some call it the Golden Hour. La Prairie calls it Radiance. La Prairie Cellular Radiance Perfecting Fluide Pure Gold re-creates that magic and makes skin glow with an immediate golden luminosity, enhancing a flawless skin finish. To help mimic the subtle luminosity the “golden hour” imparts on skin, Cellular Radiance Perfecting Fluide Pure Gold is empowered by La Prairie’s advanced gold-science platform– an exclusive combination of pure gold, golden reflecting agents and a unique anti-aging golden peptide – and our exclusive Golden Lotus Blend made with Lotus Japonicus, an extraordinary flower revered in Asia where it is considered to be a plant of renowned beauty. Once Cellular Radiance Perfecting Fluide Pure Gold is applied, the lightweight gel-cream emulsion becomes fluid, working its magic on skin. Instantly, skin looks enhanced. Enriched by gold’s anti-redness properties, it calms skin’s appearance and imparts a fine, soft-focus finish. Over the long term, skin quality is improved from deep within, as texture is continually refined and smoothed, firmness increases. My favorite combination of colors is black and white, but when you add just a little bit of gold details and some fur, the look becomes super chic. The gold details I chose are my new hand chain from Leuer with a matching necklace. I love the fact that the accessories are thin enough, which adds an extra touch of sophistication. And obviously fur - another material that is so elegant and classy. You won't believe it, but my faux fur cover-up is not actually a cover-up, it's a scarf! I purchased this scarf about 2 years ago when Anna Karenina collection from Banana Republic just came out. This is how I wore it: I wrapped the faux fur (middle) part around my shoulders and wrapped the remaining long ends of the scarf around my waist which resulted in a thick belt that I fixed with my gold bracelet. Completed the look with my thigh-high boots from Target and mohican clutch from Ted Baker. 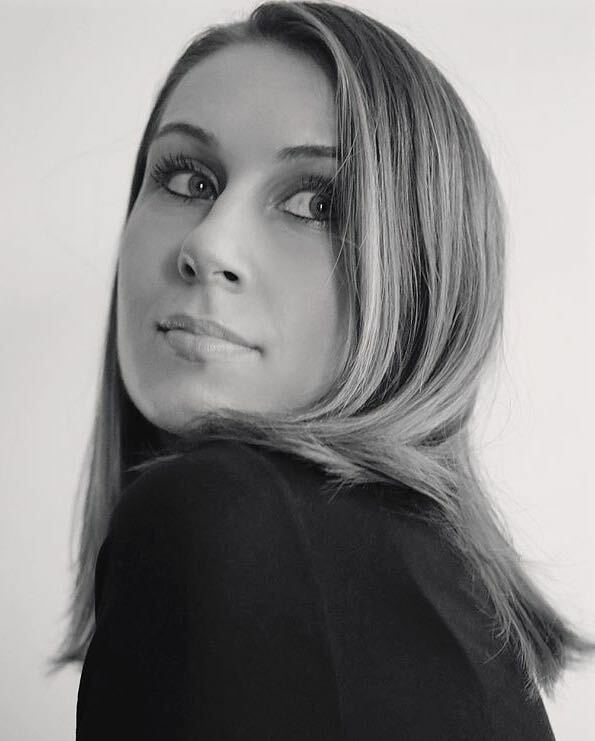 I am excited to take part in Lulu's fashion face off contest. Lulu's wants to know which spring trend will reign supreme this season. Follow along each weekend for a new trend report and find out below how you can score a $500 Lulu's gift card! I chose this beautiful yet simple little black dress to represent #TeamSkater. Gold accessories add so much glam to the look and pastel shoes and clutch complete the feminine theme. Loving this beautiful velvet dress from Ted Baker in a gorgeous electric blue color - it is a perfect choice for a special day ;) Mixed it with golden accessories for a classy and sophisticated look.